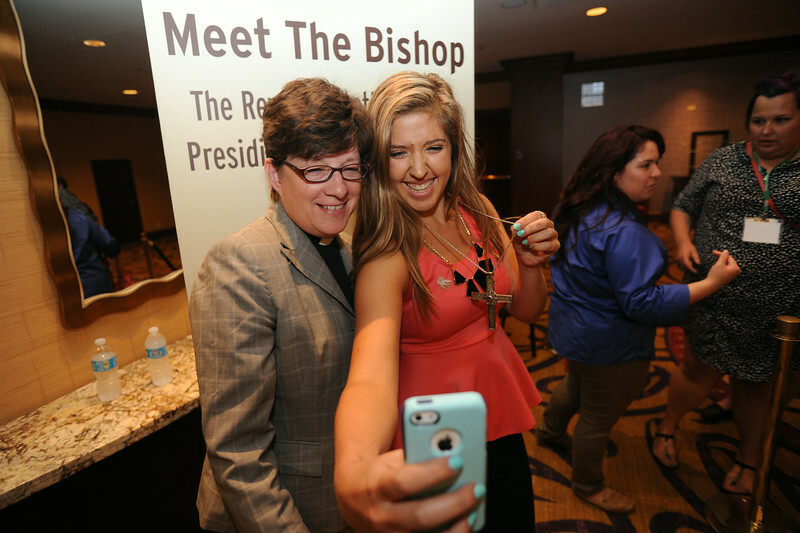 Ninth Triennial Gathering | Heidi Johnson,Vancouver, Wash., Messiah Lutheran, poses for a selfie with Bishop Eaton. Heidi, a seminarian at Duke Divinity School, told Bishop Eaton that she wanted her job one day. The Bishop Eaton gave Heidi her cross to try on during a “Meet the bishop” session after the opening ceremony.